Real-Life Mario Kart Street Racing Is Finally Coming to the U.S.
Staring from the world of Mario Bros., The Mushroom Rally is coming to Ohio in early 2019, bringing real-life Mario Kart races to the United States. Concrete dates have yet to be announced, but there will be at least two locations: one in Cincinnati, and one in Columbus. Currently, the Mushroom Rally has events in England, and is separate from the Mario Kart racing tours in Tokyo, Japan, which Nintendo is trying to put a stop to at the moment. The Mushroom Rally got its start in Australia, and often tours to different locations. A brief glance at the Mushroom Rally website shows off what a unique Mario Kart experience is without using any Nintendo intellectual property. Instead, weird monster masks are used to show off how much fun you can have. The company provides costumes for visitors to wear, or you can bring your own to get in on the real-life racing. However, this is strictly racing, there are no banana peels, turtle shells, or bombs to throw at your friends and fellow competitors. In addition to adult Mario Kart races, Mushroom Rally also has a junior league as well. The children have to be at least 4' tall to be able to get in on the action though. 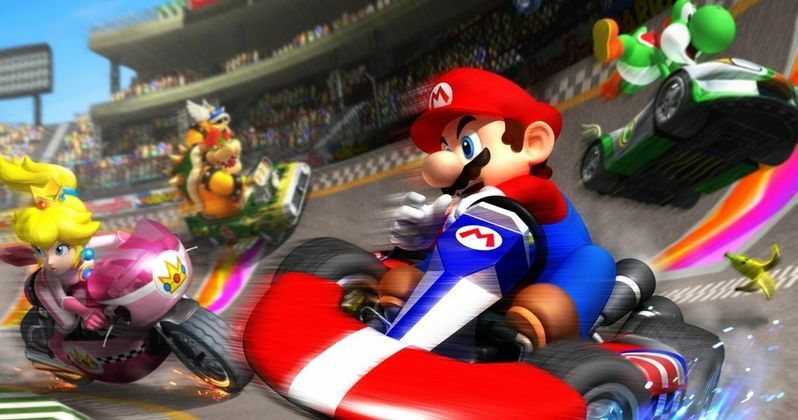 These races have been going on for years in other countries, with some video game fans specifically travelling to certain destinations to try out the real-life Mario Kart. While technically not a race, the Tokyo street tours are, by far the most popular, and have gained the most press over the years, which is probably why Nintendo is trying to put a stop to it at this time. The real-life Mario Kart experience brings up the big question: which character will you choose? Do you go with boring ol' Mario or lightweight and zippy Yoshi? Bowser is much too heavy to get any real racing going on, but he's good for knocking the competition around the track without much effort. Princess Peach is often a pretty good choice as well. There are some who claim that Walugi is the best player to use, but he seems pretty weird. Whatever your choice, you have a little bit of time to figure out who you want to be and to get the costume situated. Tickets for the real-life Mario Kart experience are extremely limited, so you might want to keep checking out the Mushroom Rally website for more details and the specific dates. One winner from both the Cincinnati and Columbus events will be flown to Las Vegas for the grand finale and a chance to fight it out for the grand prize. The Las Vegas event has not been officially announced at this time, but it will more than likely come down the line after the first Mario Kart races in North America. Hopefully Mushroom Rally will decide to add some more cities in the United States after the Ohio event.